Here's another alphabet freebie. 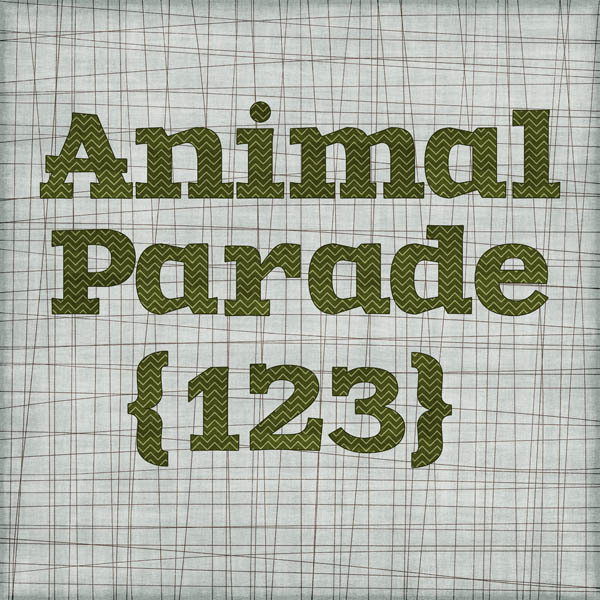 This one matches Animal Parade by A Fish Design, which you can get over at Scraps N Pieces. The kit has been bundled now, but you can still get it at a sale price, since Scraps N Pieces is celebrating their one year anniversary this month! Check it out HERE. You can download the alpha sheets HERE or the full set of pngs HERE. Here's a layout I made with the new kit from A Fish Design called Animal Parade. You can get it for the introductory sale price until October 7th at Scraps N Pieces. There are some other zoo-type elements included, but I couldn't find my zoo pictures! Also... I'm thinking I might make a freebie to go along with this, so check back for that soon.